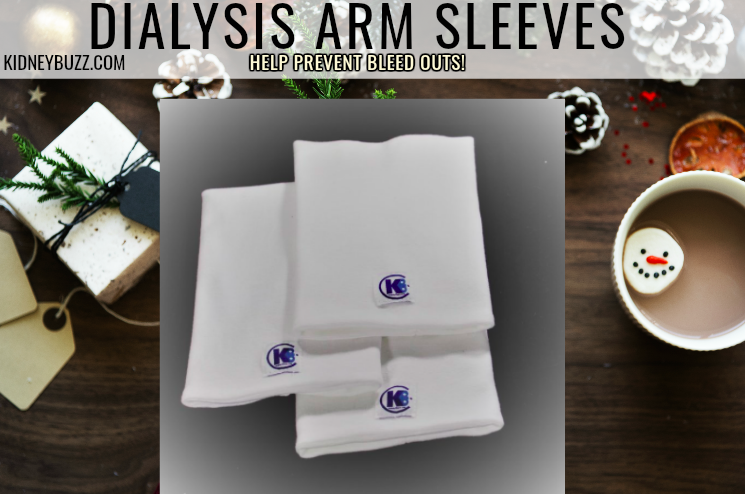 A Dialysis Patient emailed KidneyBuzz.com and wrote, "At my dialysis center, some technicians never change their gloves leading to possible contamination and infection, and patients are treated terribly." Chronic Kidney Disease patients conducting Dialysis must constantly contend with concerns of infection, cross-contamination, and poor treatment at some Dialysis Centers. It is not uncommon for Dialysis patients or their loved ones to feel as though they are getting subpar care and in some cases, they may even believe that they are being harmed. Well, now some Dialysis Nurses are stepping forward in agreement that Dialysis Centers are under-staffed and overlooking critical areas causing worse patient outcomes. This suggestion has been met with significant push-back from some of the largest Dialysis Organizations in the world and has sparked an intense debate that all Chronic Kidney Disease and Dialysis patients should join. As reported by NBC News, "Critics complain Dialysis Clinics are often short-staffed, leading to poor patient care and infections. However, the industry maintains mandating staffing levels would force clinics to limit patients' access." In fact, it appears that the California Dialysis Patient Safety Act, introduced by State Senator Ricardo Lara, has been tabled indefinitely due to industry pressure - describing Lara’s bill as “a solution in search of a problem.” However, patients must continue to contend with concerning issues. For instance, 17-year Registered Dialysis Nurse, Megallan Handford, suggested that “when you are rushing to get your next patient on, you just can't do what you need to do.” As a traveling nurse, Mr. Handford - who was fired from DaVita Dialysis San Marcos - has had the opportunity to work at different clinics in different cities across the country and finds that by-and-large, "Clinics are often short-staffed and employees are overworked and stressed, leading to poor patient care and and negative health outcomes. According to the New England Journal of Medicine, Dialysis is an "enormously profitable" business ($34 billion a year in Medicare charges alone). Yet, many Dialysis Organizations have noted that mandating staffing requirements and time between patients would lead to financial strain, clinics closing, and less access to lifesaving Dialysis for patients. Dr. Mark Shapiro (worked in Dialysis for 24 years) is the medical director of DaVita Dialysis clinics in Poway, Escondido, and San Marcos, and supports increased inspections by the state but opposes enforcing mandatory staffing levels in Dialysis Centers. The doctor said, "Mandating staffing levels would force clinics to limit patients' access to needed services." He argues that a smaller number of patients would be able to receive the lifesaving treatment in a day, putting at risk other patients who might not receive the Dialysis Treatment they need. After introducing the California Dialysis Patient Safety Act, Rep. Lara said that Dialysis is a “billion dollar industry yet we treat it like a Wild West with bare minimum standards." In fact, he introduced legislation because of shocking stories he heard from patients, loved ones, and workers about the lack of protections and oversight in this rapidly expanding industry. Still, Dr. Shapiro disagrees and finds that "overall" the industry provides excellent care. However, the records show violations including "failing to perform hand hygiene... potential to expose patients to blood-borne pathogens" that could "affect 133 patients receiving treatment.” Inspections also found staff not completing a "proper disinfection” of a large plastic tube placed in “a vein in the neck or groin for the exchange of blood.” While, Dr. Shapiro called the findings “minor and isolated incidents” for a clinic handling hundreds of clients a year and says his staff addressed the violations immediately; it is Dialysis patients who are at risk and one mistake could cost a patient his/her life. Recommended Reading: How Much Fluid Should Dialysis Patients Remove During Dialysis To Improve Their Outcomes? Share your Dialysis Stories. Do you find that your Dialysis Center is Excellent, Good, Mediocre, or Poor? Your insights could be very helpful to other patients so share your responses with the nearly 68,000 friends who have liked the KidneyBuzz.com Facebook Page (click here). Moreover, send us an email, we read every message (contact us here). Recommended Reading: Why Does Dialysis Harden Heart Arteries And Veins? What Can CKD-Dialysis Patients Do About It? Also, consider following the over 250,000 monthly visitors on KidneyBuzz.com for your Number One (#1) source of Daily News, Information, Impact Meals, Inspirational Quotes, and tailored Products and Services which teach Chronic Kidney Disease, Dialysis, Kidney Transplant, Diabetes and High Blood Pressure patients how to better manage and improve their lives.